Step1 Install AoA DVD copy on your computer. 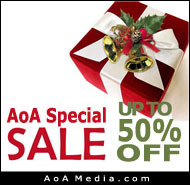 Step2 Start AoA DVD copy! Step3 Press the IMPORT button. Step4 Select your DVD drive. Step5 Note that the source is the one from the previous step and press Export. Step6 Select your DVD burner/writer. Step7 Press the Output Settings button. 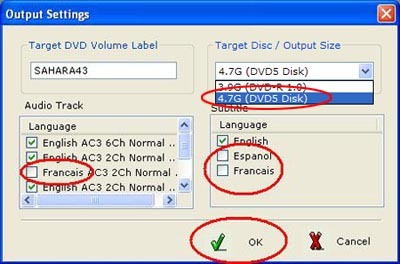 Step8 Choose 4.7G (DVD-5) from the "Target Disc/Output Size " drop-down list. To get better quality, uncheck the languages you don't want or need and press OK.
Step9 Time to press Start! Step10 Relax and watch the progress. It's pretty easy! Note: this is why that little voice inside your head was telling you to purchase the faster processor when you bought your computer. Quick start - How to copy my DVD movies? 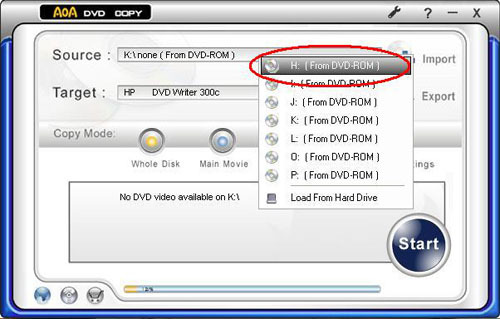 How to copy DVDs to hard drive and play them back? 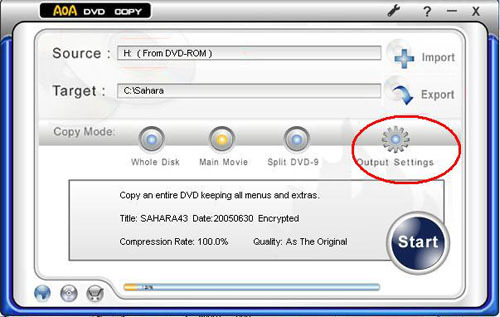 How to copy a double-layer DVD9 movie to a double-layer DVD9 disc? How to shrink a double-layer DVD9 movie to a single-layer DVD5 disc? US$ 79.9 $58.9 26% OFF! 5 AWESOME PRODUCTS FOR ONLY &89.9! Save $90 and Get a FREE CD!